Smashed the screen on your Surface Pro 2? Want your Surface Pro 2 back like new? Phone Ninja can help with all your Surface Pro 2 repair needs with multiple stores right across Perth. No matter which of our stores you visit, we offer the most affordable prices, including our price-beat guarantee, find a cheaper price in Perth and we’ll beat it, but we will not budge on our quality or our workmanship, saving you the hassle. We have helped over 20,000 customers since 2009, and we’re very proud of that. 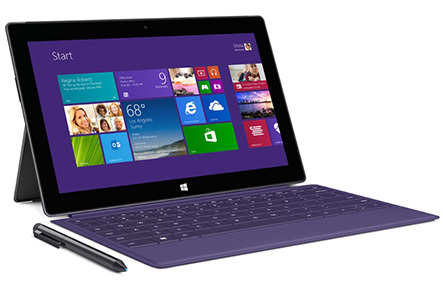 While we mostly perform Surface Pro 2 screen repairs, we also offer other repairs. As mentioned previously, we have many conveniently-located stores across Perth, and we’re talking proper stores with off-street parking, not your questionable shoe box-sized mobile phone repair kiosks! Do you want your Surface Pro 2 repaired like new, often same-day, so you won’t be without your device? Contact Phone Ninja by grabbing a free-quote or booking an appointment online; or by simply dropping down to any of our stores, today! Copyright 2016 Phone Ninja, All rights reserved. All other trademarks & copyrights are owned by their respective owners. We are an independent phone repairer and not affiliated with Microsoft in anyway. All our Microsoft repairs use compatible or refurbished parts only. None of our repairs, products, or parts are official nor endorsed, authorized or refurbished by Microsoft.